Aero Answar, ijsba world finals, Indonesia, James Bushell, jared moore, jetski, Kings Cup Jet Ski racing, Kings Cup Thailand, Pro Open, Pro Stock, runabout class, Sea-Doo RXP-X 260, Sea-Doo X Team, south africa, Sports, Thailand, Veerapong Maneechum, x-team. 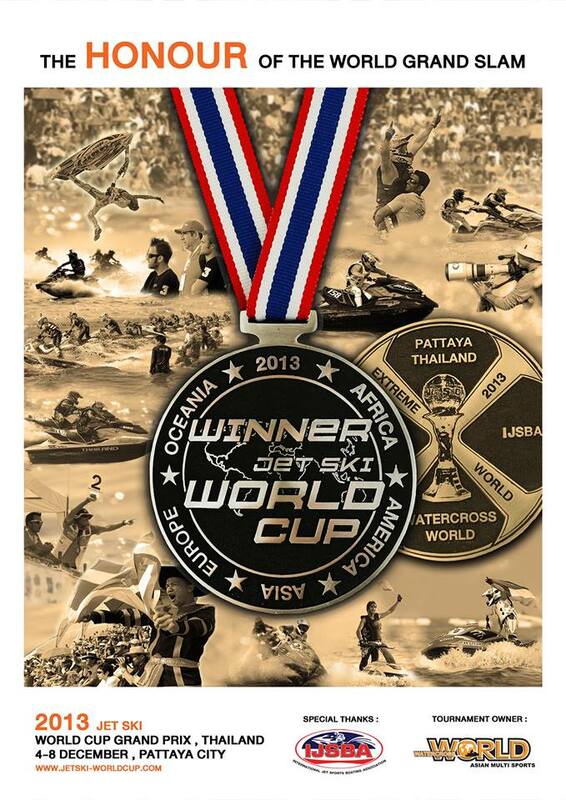 Racers from all over the world will converge on Pattaya City, Thailand to compete in 2013 Jet Ski World Cup Grand Prix, Dec. 4-8. BRP Sea-Doo’s X-Team riders will be on hand to test their skills and compete for the the title of World Champion. If you are unable to attend the races you can watch the action live here, or follow the updates on the Jet Ski World Cup Grand Prix Facebook page.